It comes as the Malaysian government ordered an investigation into an international atheist organisation that is operating in the country. A photo of a meeting of the Kuala Lumpur chapter of Atheist Republic sparked uproar among some Muslims and lead to death threats against the group on social media. Malaysia’s deputy minister in charge of religious affairs, Asyraf Wajdi Dusuki, said on Monday he had instructed the Federal Territories Islamic Religious Department to investigate the Atheist Republic chapter to see if any Muslims were involved. “We need to determine whether any Muslims attended the gathering, and whether they are involved in spreading such views, which can jeopardise the aqidah [faith] of Muslims,” he told Reuters. Ex-Muslims in the group would be sent for counselling, while attempts to spread atheist ideas could be prosecuted under existing laws, Asyraf said. “We need to use the soft approach with (apostates). Perhaps they are ignorant of the true Islam, so we need to engage them and educate them on the right teachings,” he said. Atheist Republic’s founder, Armin Navabi, said the group’s gatherings caused no harm to the public and were not considered a threat in other countries. “They [atheists] are treated like criminals. They are just hanging out and meeting other atheists. Who are they harming? !” he said in a post on his Facebook account. Malaysian states, which have their own laws governing Islamic affairs, do not allow Muslims to formally renounce Islam, preferring instead to send them for counselling, or fining or jailing them. The country’s apostasy laws have left many former Muslims in legal limbo, as they are not allowed to register their new religious affiliations or legally marry non-Muslims. In 2007, Lina Joy, a Malaysian convert to Christianity, lost a high-profile legal battle to have the word “Islam” removed from her identity card. In delivering judgment in that case, the Federal Court’s chief justice said the issue was related to Islamic law, and civil courts could not intervene. 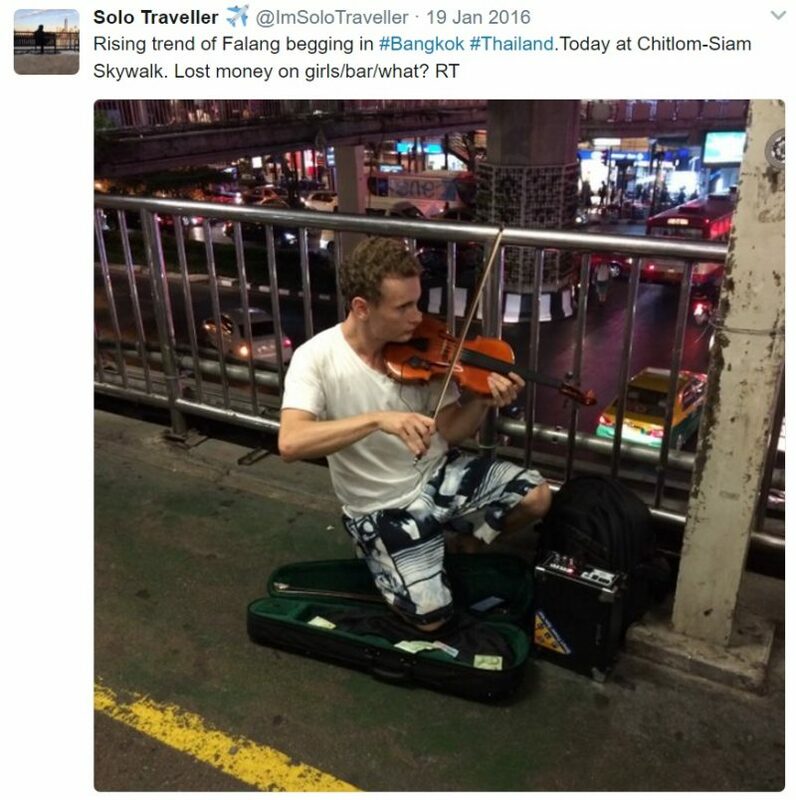 White People are Going to Asia to Beg For Money on the Streets. 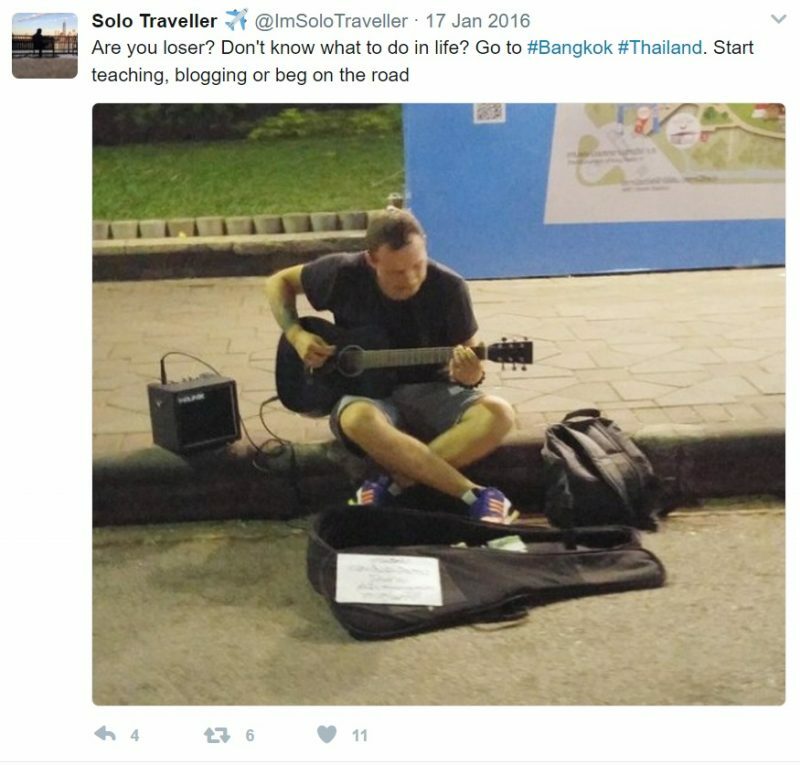 Many Western backpackers frequent the streets of Malaysia, Thailand, Singapore, and other Asia countries to beg for money. Some can be seen sitting on pavements with posters asking for money, while others play music to attract people on the street. But with their expensive looking cameras, musical instruments, and the notion that they have more money than an average local, many Asian residents are finding the sight bizarre. Photos of these foreign “beg-packers” surface on social media and mixed reactions from netizens. While some admired these backpackers for their free spirit, paving their paths to the unknown, still, many were unimpressed. 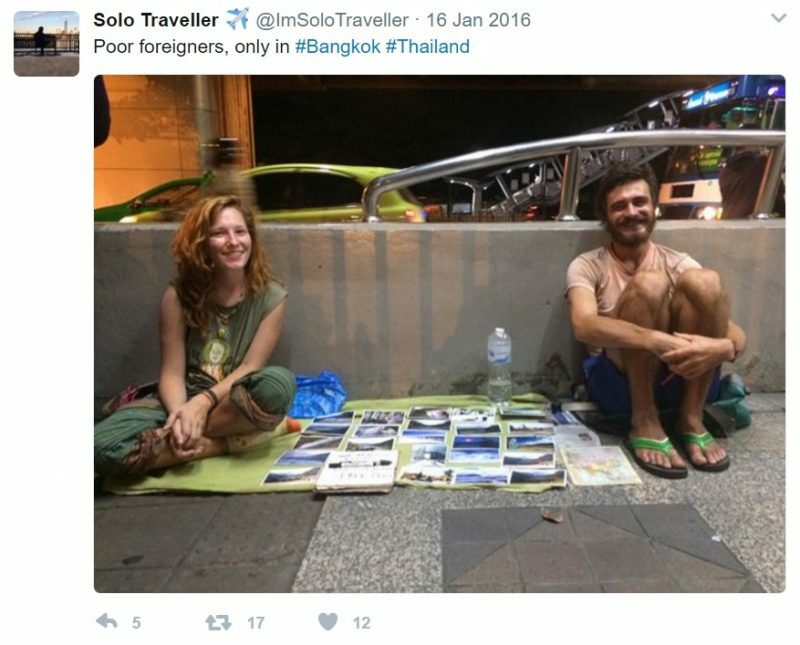 According to The Sun, most locals are not happy that that these foreigners are begging people for money to fund their vacations. “Selling things in the street or begging isn’t considered respectable. People who do so are really in need: they beg in order to buy food, pay their children’s school fees or pay off debts. But not in order to do something seen as a luxury!” she said. 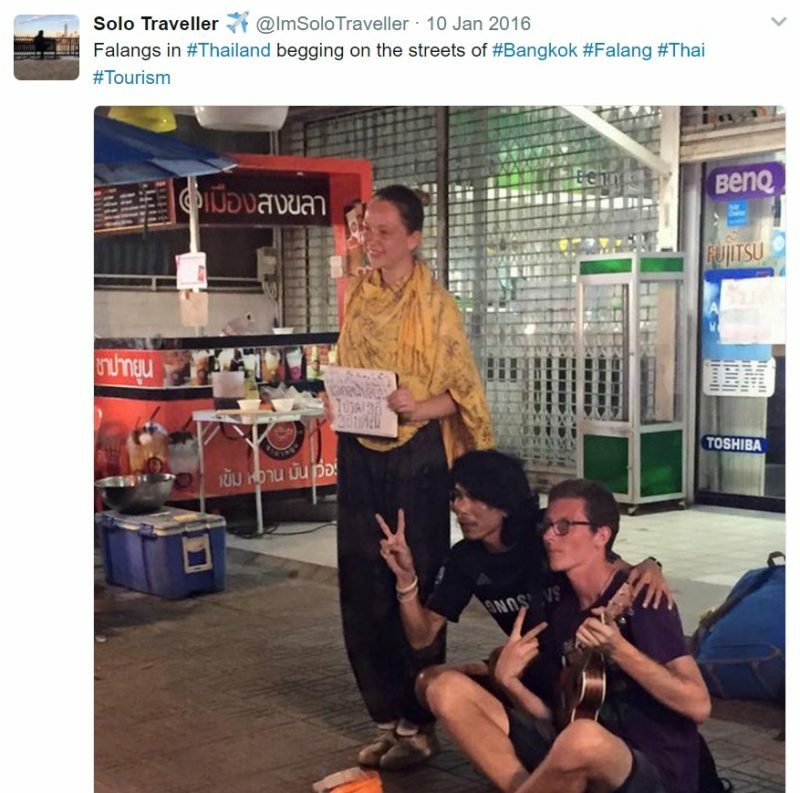 A Twitter user who goes by the handle Solo Traveller shared some snaps of foreign backpackers on the streets of Thailand. “Poor foreigners, only in #Bangkok #Thailand,” he captioned one photo.